(Check the Show Calendar page for exact show dates). For over 30 years Bob Gatewood has been a veteran entertainer, both as a solo act and with his band Calabash, since his band because a mainstay in the Cleveland Flats in 1985. He quickly became a top attraction throughout the county from the North Coast to Key West. For over 25 years he has been playing at Put-in-Bay, where has is now one of the most recognizable attractions. Bob enjoys the island so much, he now makes it his year round home! He has several fantastic CDs to his credit, including his most recent, Be Good To Yourself, which has a couple of radio charting singles! You will not want to miss Bob’s solo show which combines his songs along with his unique stamp on many familiar classics, all while featuring a mind blowing combination of great guitar work along with electronic mastery. 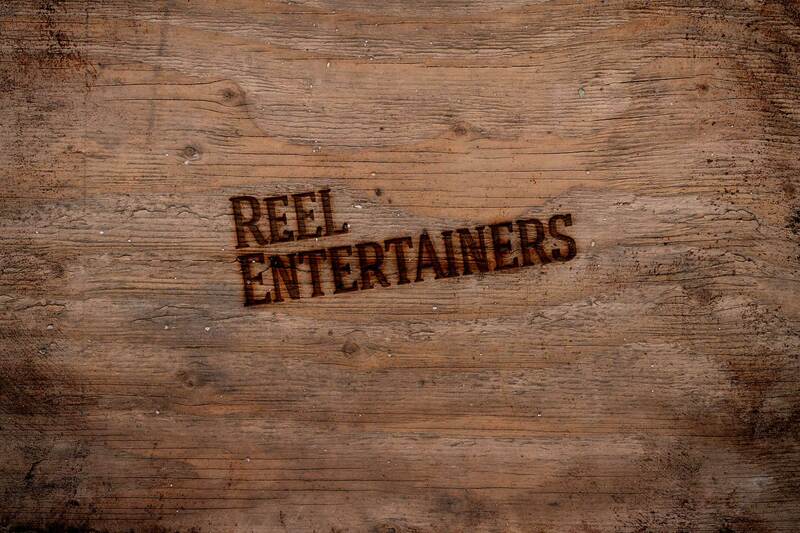 Check the Show Calendar page for when Bob will appear at Reel Bar. Canton, Ohio’s Hey Monea! was signed to Hard Rock Records after their crowd-winning set opening for Bruce Springsteen and the E-Street Band at Hard Rock Calling 2012. The band chose Grammy-winning producer Dennis Herring (Modest Mouse, Ra Ra Riot, Counting Crows) to help them make a timlessly classic piano-based pop-rock record. The result is Cheap Souvenirs, a ten-song set of radio-ready singles reminiscent of the classic Seventies sound found in artists like Billy Joel, Jackson Browne, Billy Joel and The Eagles in their recording prime. Combining rockabilly mania and punk fury may be nothing new, but Nashville based high-powered hepcats Hillbilly Casino do it with such blazing fury that a typical live show leaves you with the feeling you’ve just witnessed Yosemite Sam being repeatedly trampled by a herd of wildebeests — along with a desire to see it all again. After four studio albums, the four hot-rodders of the Apocalypse will is currently booking their Live in The USA Tour. The recently released “Live in The USA” CD recorded at The Exit/In really holds true to Nic Roulette’s mission of performing Real American Music. Every member of the Hillbilly Casino brings their own special flavor to the band. Nic Roulette (Lead Vocals, Stuntman and Hillbilly Casino’s brain child), Geoff Firebaugh (bassist and vocals), Ronnie Crutcher A.K.A “CRUTCHERO” (Guitar and Vocals) and Matthew Arnn (drums). Together is a blend for the perfect recipe of Real American Music. Hillbilly Casino brings this recipe and energy times 5 to every recording and show. We’re proud to bring Columbus legend Chris Logsdon to Put-in-Bay! He’s more than just a musician…he is an entertainer. He has been blessed with the ability to spin his musical yarns with charisma and wit in such a way that few people can resist getting caught up in a contagious web of merriment. He packs ‘em in wherever he plays, so get here early for a seat! The Flyin Jays are quickly becoming a favorite on the Lake Erie islands and put in bay. Utilizing acoustic instruments with blazing riffs and big vocal harmonies, they create a unique sound all their own. 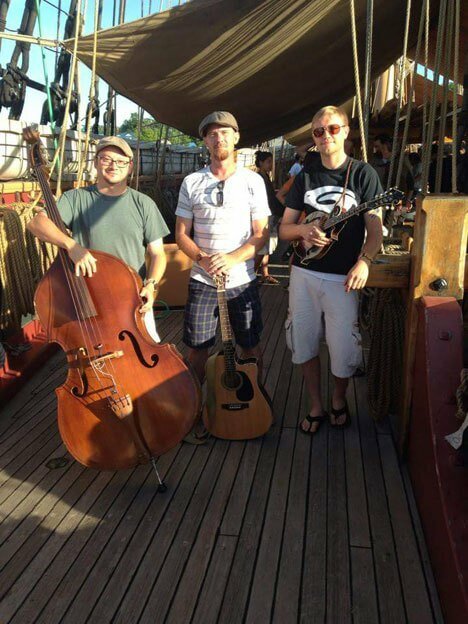 The band plays popular music from the good ole days to current pop hits, all with an island twist. And they don’t just play covers. Their original music is extremely unique and will have you feeling like driving down a country road, or sailing away into the sunset. The Jays are not just an island band. They can be found in bars and pubs to fairs and festivals throughout the region. 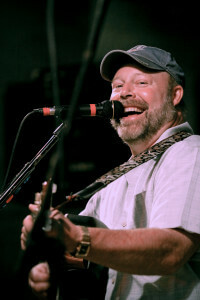 Jeff Clark is a multi-instrumentalist originally from Pennsylvania before locating in Key West, FL where he is one of the most featured and favored singer/songwriters. Jeff’s original music encompasses the tropical vibe of the Keys. When blended with classic cover tunes, the result is certain to spring you and your loved ones off their chairs and onto the dance floor! Purveyors of Roots, Rock, Zydeco and Americana music, The Cats “Swamp Pop” music is a high-energy romp from the shores of Lake Erie to the bayou of Louisiana. The band’s instrumentation of blistering guitar, button-box, washboard and a solid rhythm section create a “Mardi Gras” atmosphere in a sophisticated and professional manner. Cats on Holiday continues to perform over one hundred live shows a year. 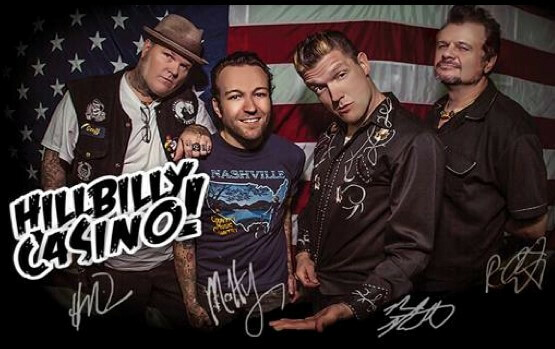 The band produces their own unique interpretations of classic songs by musical icons such as Johnny Cash, Hank Williams, The Kinks and The Band, as well as a batch of well-crafted original songs. Thanks for voting Reel Bar PIB’s #1 Favorite Entertainment Venue! Reel Bar on Put-in-Bay serves up Breakfast, Lunch and Dinner. There is a very good chance, you just might want to stay for them all.